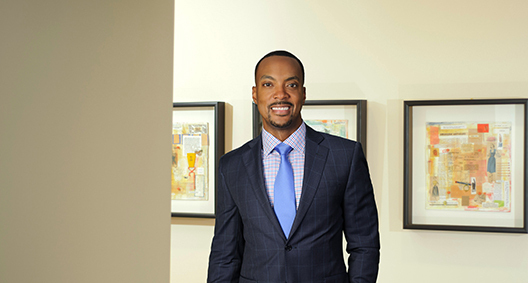 As a traditional sports lawyer, Ron Gaither provides counsel to professional athletic teams related to a range of issues such as litigation, trademark, employment and real estate. Ron takes a global approach to client concerns, addressing potential impacts that may not be immediately obvious and taking the time to fully comprehend their businesses and the unique pressures they face. Clients trust and rely on Ron’s ability to work swiftly toward resolution and, foremost, to avoid the distraction of a highly public trial. Represented the Atlanta Braves before the Georgia Supreme Court regarding validation of bonds for the financing of the Braves’ new stadium. Represented the Atlanta Braves in a civil lawsuit filed by the family of a minor child injured while attending a baseball game at Turner Field. Represented the Atlanta Braves and multiple Major League Baseball teams in responding to a subpoena by the DOJ and assisting the DOJ regarding allegations that a sports agent was engaged in the illegal trafficking of Cuban-born baseball players. Represented the Atlanta Braves in a breach of a license and sponsorship agreement with a major supplier of household appliances. Provided counsel to the Atlanta Braves in matters involving stadium rights for a new baseball field. Provided counsel to the Atlanta Braves regarding Georgia’s recent law permitting guns at public events; the Atlanta Braves oppose guns inside stadiums hosting their games. Represented the Atlanta Braves in securing trademark clearance for bobble head involving a Gold Glove winner.